Instead of being the fourth album in their nearly twenty-year career, Forth sounds as if it should have been third. Over a decade since their last release, the eight-million-plus selling Urban Hymns, The Verve have returned to their roots rather than move forward in their sonic meanderings. Forth sounds like the follow-up to their second release, 1995’s brilliant A Northern Soul as it shares brief glimpses of stadium-rock sound with that recording as well as the psychedelia of their first, 1993’s A Storm in Heaven. Much was made of 2007’s recording process, a jamming cacophony of sound and ideas that saw the internet release of The Thaw Sessions late that year, the title also reflecting the melting of long-standing angst between band members. This album stays true to what came out of those sessions. In fact, over half of the ten songs on the release run over six minutes long. “Sit and Wonder” opens the album, instantly a Verve-sounding song that swirls with the sharp guitar work of Nick McCabe and thrums with the thick drum and base groove of Simon Jones and Pete Salisbury. This is what the world has been waiting for – the brooding majesty of sound that was A Northern Soul overlaid with Richard Ashcroft’s plaintive wailing – but there’s something amiss here. True to those early sessions, after nearly seven minutes, the song, we discover, goes nowhere – a common occurrence throughout the album. A stab at a radio and dance floor number one, “Love is Noise” hits like a punch to the solar plexus. This is Richard Ashcroft at his rock/pop best. Destined to receive radio-play, the singer questions western culture by singing: Will those feet in modern times walk on soles that are made in China? Despite audiences loving the song live, it doesn’t change the realization that the recurring background vocal loop is, in fact, headache-inducing. 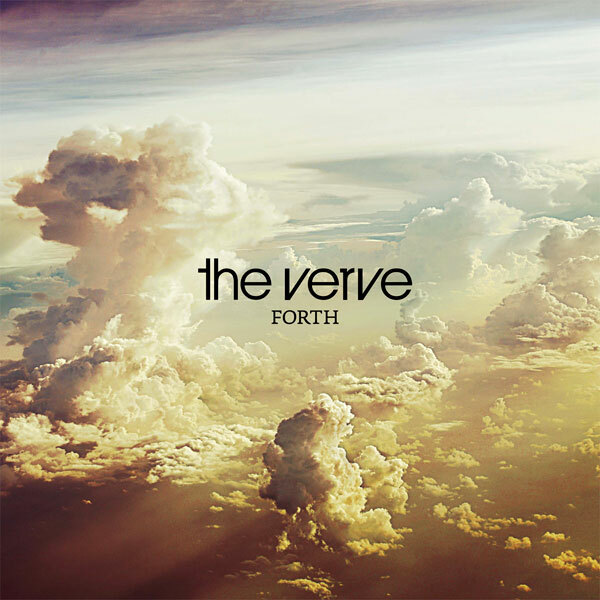 Indeed, if there is any track that sees The Verve attempting to move their music forward, it is “Rather Be”, with its gospel-like background vocals that tilt the musical landscape in a slightly new, soulful direction. The guitar work is still here, fading in and out from back to front and constantly shimmering. This is Nick McCabe’s album. The soundscapes he constructs on each song are what draw the interest of listeners. Forget the grooves that relentlessly drive forward. Forget, even, Ashcroft’s vocals. It’s the guitar you want to hear: simple and complex, rolling and swooping, airy, wispy and, sometimes, heavy. The problem that Forth has, then, is that these beautiful sounds, more often than not, are hidden in the background or covered over by a deep bass resonance and it’s a shame. McCabe has struggled in the past with stage fright and that neurosis is ever-present throughout the production of this album. At worst, Forth is the sketch of a great album that The Verve might have made. At best, it is ambient background music for late nights amongst friends. It never lives up to the expectations we have of the band, those memories of stadium-sized sounds with flourishes of psychedelic meanderings and classic rock riffs. For that, we return to A Northern Soul, a better album by far. Perhaps The Verve just need more time to finish their thaw.